What do you do if you’re a healthcare executive and your recent turnover data indicates a bullying and incivility problem? Do you sigh and say, “Well. That’s just the way it’s always been?” Do you call a mandatory meeting with your leaders and tell them to “fix this problem” or else? Do you deny the data (these are not the droids you’re looking for…) and ignore the issue? Perhaps you know you have a problem but don’t know where to start, so you do nothing or worse, bring everyone together for one workshop on bullying and incivility (check). A nurse executive received feedback during exit interviews, that 50% of his newest nurses where leaving because of bullying & incivility. He reached out to his CNO colleagues and asked if bullying and incivility were a problem in their organization. 100 percent said it was. When he asked if any of them had a strategy to address the problem, 100 percent said they didn’t. According to a study conducted by the Workplace Bullying Institute, only 6% of leaders identify addressing bullying & incivility as a top priority. However, study after study shows the detrimental effects bullying has on the overall health of an organization. 35% reported that they had experienced bullying on a weekly basis with 28% reporting that they had experienced bullying daily (Etienne, 2014). A study done in conjunction with Vanderbilt University Medical Center shows that approximately 60% of new nurses leave their first position within six months due to some form of verbal abuse or harsh treatment from a colleague (Townsend, 2012). 2016 National Healthcare Retention & RN Staffing Report showed that 70% of nurses reported an association between disruptive behaviors and compromised quality of patient care (Nursing Solutions, 2016). Tackling a problem that’s been swept under the carpet for decades can feel like an overwhelming burden but it doesn’t have to be that way. If you really want to create and sustain a professional work environment by eliminating bullying and incivility, you need to adopt a top-down, bottom-up, and everything in between approach. The ultimate goal is to create an environment that fosters teamwork, honest and respectful communication, and professional practice in order to retain the best employees who deliver the best care. This requires hardwiring strategies that address disruptive behaviors into the organization. When policies related to employee conduct are either too vague or too prescriptive, employees can easily talk their way out of corrective action. Policies need to clearly define the difference between bullying, incivility, harassment & discrimination (shouldn’t be in the same policy as bullying), and violence (again – separate policy) and include a clear process for how complaints of disruptive behaviors will be handled. Take a look at what programs/education you currently have in place. Do you talk about behavior during orientation? 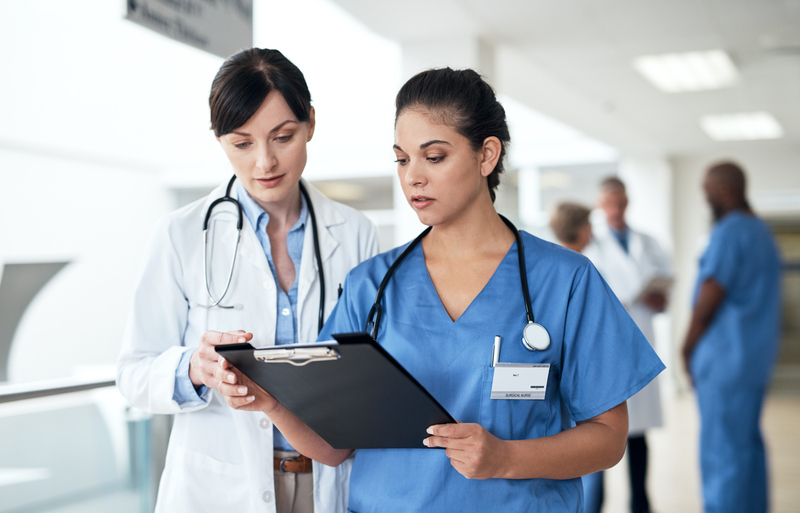 What about in your nurse residency program or preceptor program? Add content regarding the difference between bullying, incivility, and constructive feedback; content related to professional communication, etc. Don’t create new programs – just augment what you currently have. Keep employee behavior top of mind by embedding it into meetings just as you embed quality metrics. Talk about behavior. Share content related to bullying and incivility. Discuss challenges and successes so that leaders and employees can learn from each other. Organizations need to do a much better job equipping front line leaders with the essential skills they need to set behavioral expectations and hold their people accountable. If you’re only able to implement one strategy to eradicate bullying and incivility, focus on your frontline leaders. Review your current new manager orientation program. Make sure you’re including content related to disruptive behaviors. Include any policies and processes related to employee conduct and how to get support and advice from HR. The initial training should focus on the basics. However, equipping leaders with the essential skills they need to set behavioral expectations and hold their employees accountable requires an ongoing commitment to education and training. At least once a quarter, you need to provide opportunities for leaders to come together in the same space to learn and have the opportunity for dialogue about common situations they encounter. Terminating an employee for disruptive behavior may be necessary if the employee continues to behave in a disruptive manner despite efforts to address. Even if the employee is clinically competent, when a leader decides that enough is enough, they need guidance and support from their executive team and HR representative. If you truly want to create a professional, nurturing, and supportive work culture, you can’t just gather a group of leaders and then sit around the table talking about strategies. You must include front line staff. We’ve normalized bad behaviors for so long that we fail to recognize bullying and incivility when they occur. Heightening awareness through ongoing education can help to un-normalize deviant behaviors. Engage in ongoing conversations with employees about behaviors that undermine a culture of professionalism, trust, respect, and safety. Involve employees in establishing unit-based expectations for professional behavior towards each other, new staff, all disciplines, and staff who float (travelers, agency, float). Ask employees how they always want to be treated by each other. Ask how they never want to be treated by each other. Empower them to determine the culture of their departments. Provide staff with ongoing education, tools, and resources to recognize and confront disruptive behaviors. Talk about professional conduct often and engage them in conversations about what a professional, supportive, and respectful work culture looks like. The more you education and involve employees, the more they will engage. If you truly want to cultivate a culture that rejects any incidence of bullying and incivility and promotes professionalism, it can’t just be “sign this code of conduct (note: signing a piece of paper doesn’t change behavior) or a one-time in-service on bullying. You can’t check a check box when it comes to transforming the way people treat each other. Changing a culture requires organizational by in, leadership development, and employee involvement.